Thunderpick stays true to its name. It is very easy to use as it is designed very simple. The moment you enter the site, it already features the top games that will be starting right away. You can also scroll to the matches that you wish to place your bet on by just clicking the specific game. All matches will be displayed on that page, even from teams that are not really well known. With just one click of a button, you can set your bet right away. Thunderpick has been in business for over a year. They started out in February 2016 and has been in business since. I searched on Google for any information regarding the service, and I have found only little tidbits. There are no scam accusations regarding it. I went to the HLTV forums and asked people regarding the platform. Most of them are actually happy betting here as it is one of the bookmakers with the lowest fees. I did one better and asked people in the Thunderpick chat. From there, I could see that they are running the business well and they keep bettors happy by answering all the queries and fixing bugs and issues right away. I have also checked the records of their site, and it has actually been up for 1 year and 308 days. That means, it has been a long running service and it is very consistent in my opinion. A site with a bad reputation would have been taken down long ago, but this is not the case with Thunderpick. 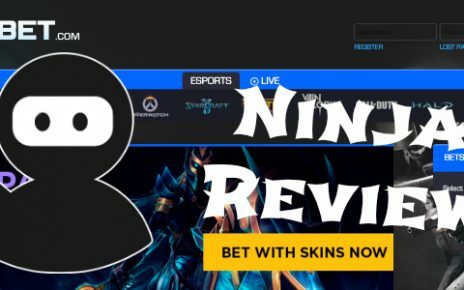 This is a mutual esports betting site. It means that you do not play against the house, but instead bet against other players. They only take a small portion of the winnings as fees and most of the rewards go to the community. They also feature a lot of eSports matches. From the ever popular Dota 2 and CS:GO, League of Legends, Heroes of the Storm, Overwatch and Starcraft 2. They even offer matches on niche games like Hearthstone and Smite. They also pride themselves on offering a no caps restriction on all the bets, winnings and withdrawals. This means that you can bet whatever amount you want. You will be also able to continue winning more because they will not suspend your account if you hit a winning streak. They also do not have a minimum amount of deposit for withdrawal, which means you can withdraw all your winnings even if you did not deposit a single cent in their site. Another cool feature of this place is that their chatbox has a language chooser. They actually segregate users depending on the language you are comfortable with and get to chat in that particular chat room. Gone are the days where you do not even understand whatever they are talking about. You can just go to the room with your language preference and talk there to your heart’s content. The odds change depending on how many bets are placed on a single match. Other factors like team status or popularity also affect the initial odds displayed by the site. For example, the match odds of Virtus Pro, a popular CS:GO team will be significantly lower if they are playing against a no-name team. It will become higher if they play a highly stacked team like Astralis or SK Gaming. They only have a few bonuses offered. They have the referral bonus which is very common for bookmaker sites like these. 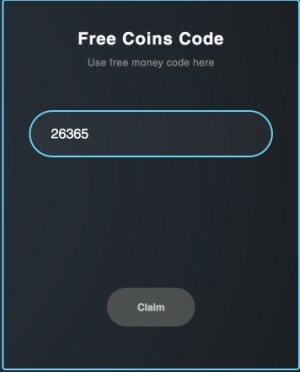 Thunderpick also offers 50 free coins by entering a code 26365. Another way to earn free coins from them is to put their URL in your Steam profile and you will be awarded 10 coins daily. They have multiple ways of making a deposit here. The easiest way is to send CS:GO skins. The conversion rate for that is 1 coin for every cent. So a skin that’s worth $.50 will net you 50 coins. The minimum amount for skin deposit is $1.00. The next way to add money here easily is using bitcoins. Along with the skin deposit, these two options are the only ways to start betting here without paying a fee. Other methods include major credit cards like Visa, Mastercard, JCB and Diners. They also accept a plethora of wallets like Neteller, Moneta.ru, Yandex, Qiwi, Skrill and PaysafeCard. They have a live chat available as the main way of customer service. If the live chat is down, you can leave them a message by using the live chat link and entering your email and issue. The turn around time for their ticket system is 48 hours so it is better to just wait for their live chat to come online as it can get resolved quicker. They can also be contacted on the social media accounts. They have a Facebook, VK, Twitter and Reddit accounts. If you are going this route, try to contact them on Facebook or Twitter as they reply quicker in there. They can also be contacted on the social media accounts. They have a Facebook, VK, Twitter and Reddit accounts. If you are going this route, try to contact them on Facebook or Twitter as they reply quicker in there. The mobile design is the coolest feature of all. Out of all the sites I have visited, this one has a very unique mobile template. In other sites, you need to scroll up or down or sideways to be able to access the matches that you want to bet on. Not here in Thunderpick though. They outdid themselves again and make it easier for people who use their mobile devices by incorporating a Swipe feature in the mobile design. You can actually swipe towards the left or right to choose the matches you want to bet on. If that is not cool, I don’t know what is. Thunderpick will be one of the top platforms for me to bet on. 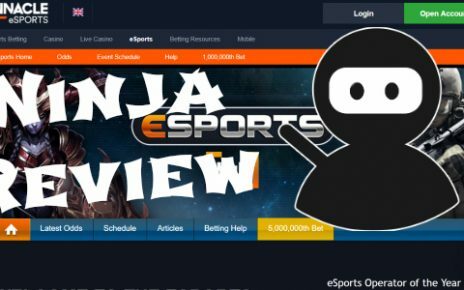 So far, they are one of the few mutual esports betting sites out there and they are the best one in my opinion due to low fees, nice design interface, an abundance of matches and games to bet on. The chat box is also very lively and has one of the most innovative features I ever saw in a chat box. Overall, I would give this business a solid 9/10 because it actually solves a lot of things that an eSports bettor looks for. Did not give it a perfect 10 since they are missing one option for betting and that is the multi-bet function. Aside from that, I am very happy with this site. 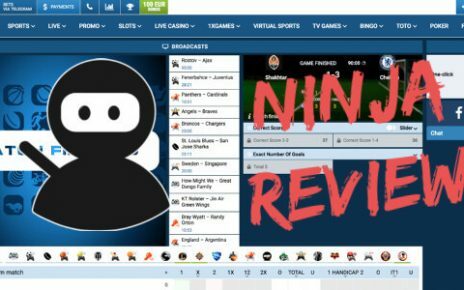 ArcaneBet Review – Esports Sportsbook With a Special Bonus! How to Create Your Own Esports Professional Team?